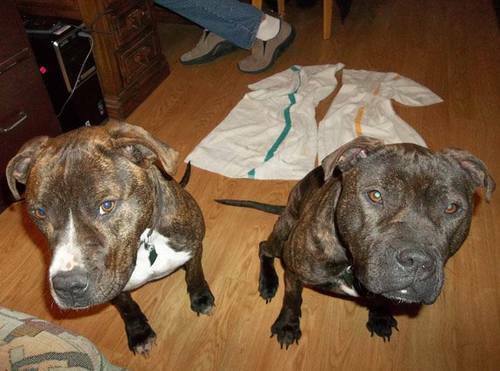 I recently read a story of a 56-year-old Wausau woman who was mauled last month while trying to save her dog from a pit bull that attacked it now is pushing the city to ban all pit bulls from Wausau. 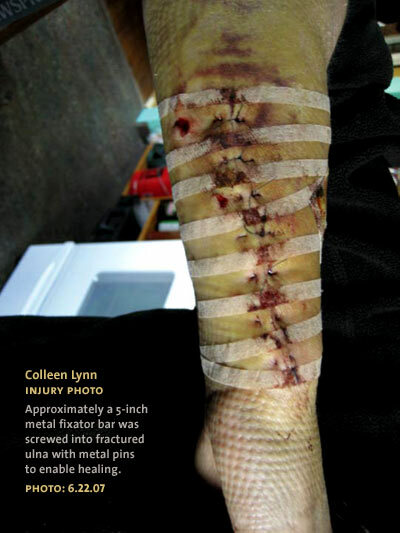 Cindy Ryder was attacked June 19 by a neighbor’s pit bull after it charged from its home on the 900 block of Washington Street, just feet from her home. Ryder bent to protect her Chihuahua, Bartok, as the pit bull came at her and was bitten in the arm, wrist and back of the head. The pit bull eventually was brought under control by the father of the dog’s owner, but it was too late for Bartok. Ryder was taken by ambulance to the hospital as Bartok took his last breaths in the arms of a neighbor. This story wouldn’t have made it on my radar because there are so many other animals getting mauled to death every day by pit bulls. But this story jumped out of the page to me because of a certain woman being quoted in the article, Laurie Hoffman. asked pit bull owners around the country to submit photos of themselves and their dogs to their website and discovered a diverse ownership. 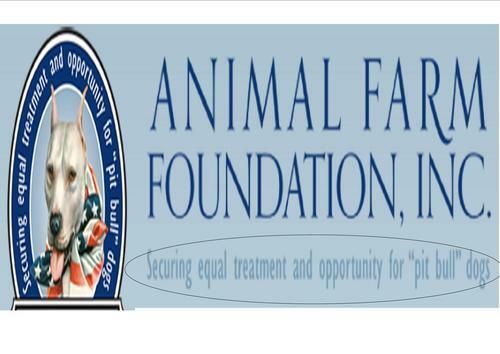 Click here to read more about Animal Farm Foundation. How much do you really know about dog behavior Laurie Hoffman? 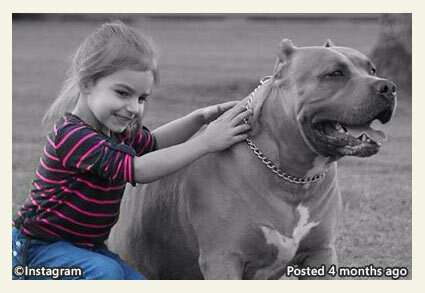 How much do you know about the history and purpose of the American Pit Bull Terrier? I really don’t think Laurie Hoffman has any business whatsoever being quoted in news articles when she was caught flat out LYING about the circumstances involving the death of my son. How DARE she call us “negligent?” Who do you think you are Laurie Hoffman? You are an EVIL woman and a LIAR that will say or do anything to protect the image of your precious breed that was created by man for his blood thirsty sport of dogfighting. 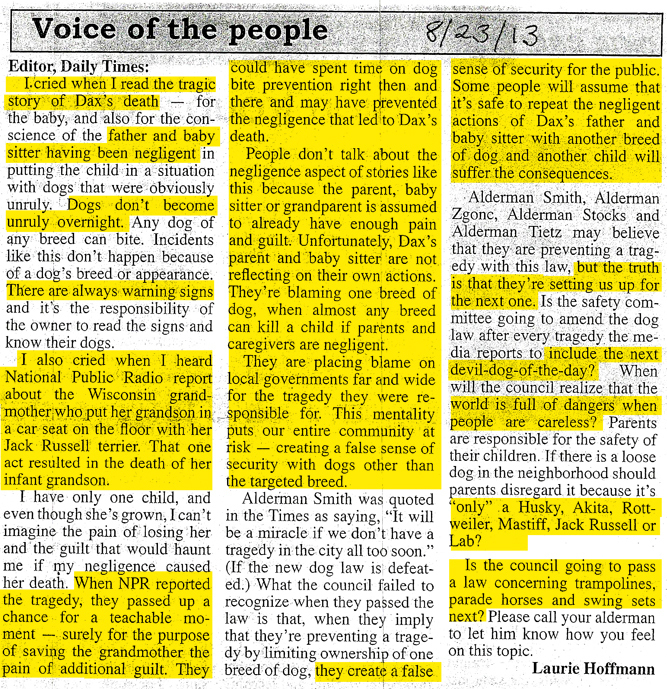 The following is a copy of Laurie Hoffman’s letter to the editor to the Watertown Daily Times. “I cried when I read the tragic story of Dax’s death – for the baby, and also for the conscience of the father and baby sitter having been negligent in putting the child in a situation with the dogs that were obviously unruly. Dogs don’t become unruly overnight. Any dog of any breed can bite. 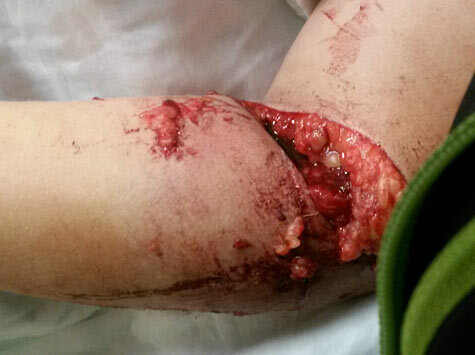 Incidents like this don’t happen because of a dog’s breed or appearance. There are always warning signs and it’s the responsibility of the owner to read the sign and know their dogs. I also cried when I heard National Public Radio report about the Wisconsin grandmother who put her grandson in a car seat on the floor with her Jack Russell terrier. That one act resulted in the death of her infant grandson. I have only one child, and even though she’s grown, I can’t imagine the pain of losing her and the guilt that would haunt me if my negligence caused her death. When NPR reported the tragedy, they passed up a chance for a teachable moment – surely for the purpose of saving the grandmother the pain of additional guilt. They could have spent time on dog bite prevention right then and there and may have prevented the negligence that led to Dax’s death. People don’t talk about the negligence aspect of stories like this because the parent, baby sitter or grandparent is assumed to already have enough pain and guilt. Unfortunately, Dax’s parent and baby sitter are not reflecting on their own actions. They’re blaming one breed of dog, when almost any breed can kill a child if parents and caregivers are negligent. They are placing blame on local governments far and wide for the tragedy they were responsible for. This mentality puts our entire community at risk – creating a false sense of security with dogs other than the targeted breed. Alderman Smith was quoted in the Times as saying, “It will be a miracle if we don’t have a tragedy in the city all too soon.” (If the new dog law is defeated.) 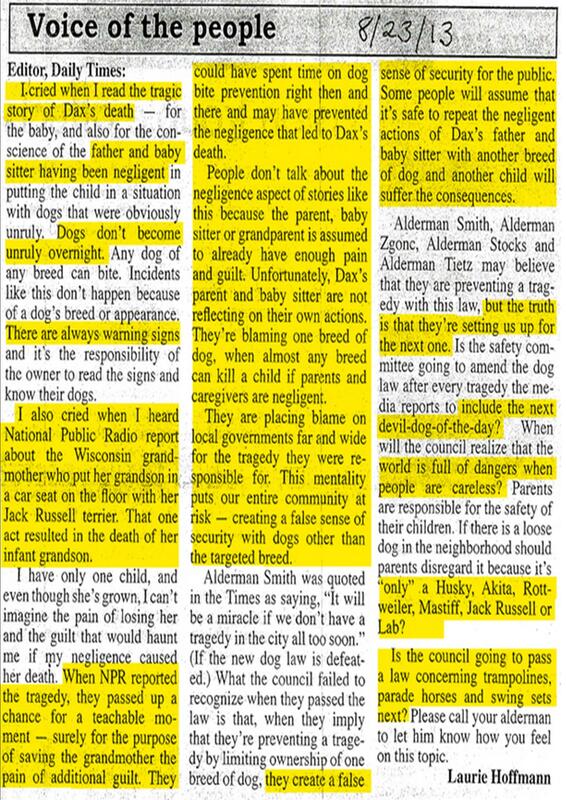 What the council failed to recognize when they passed the law is that, when they imply that they’re preventing a tragedy by limiting ownership of one breed of dog, they create a false sense of security for the public. Some people will assume that it’s safe to repeat the negligent actions of Dax’s father and baby sitter with another breed of dog and another child will suffer the consequences. Alderman Smith, Alderman Zgonc, Alderman Stocks and Alderman Tietz may believe that they are preventing a tragedy with this law, but the truth is that they’re setting us up for the next one. Is the safety committee going to amend the dog law after every tragedy the media reports to include the next devil-dog-of-the-day? When will the council realize that the world is full of dangers when people are careless? Parents are responsible for the safety of their children. If there is a loose dog in the neighborhood should parents disregard it because it’s “only” a Husky, Akita, Rottweiler, Mastiff, Jack Russell or Lab? “My name is Jeff Borchardt. I am the father of 14-month old Daxton Borchardt who was brutally killed by two pit bulls owned by a family friend on March 6th. It was a prolonged attack that lasted up to 15 minutes. The dogs crushed my son’s skull and ripped off the entire right side of his face. My friend Susan, was also sent to the hospital due to the injuries she received fighting off her own pit bulls to protect my son’s life. “My name is Susan Iwicki. I was caring for my friend’s 14-month-old son, Daxton Borchardt, at my home in Walworth, WI when my own two pet pit bulls attacked me while Dax was in my arms. It was the most violent and bloody 15 minutes of my life. This was not just “a dog bite” incident. This was a vicious and prolonged attack on our flesh. This was a mauling by “normal house pets” that without warning reverted to what their breed was initially bred for: killing. No amount of force I exerted, including gouging at the female’s eye, was enough to stop or even create pause in their attack. There is so much more to this story in Wausau if you keep reading. I’ll agree with you about one thing Mary Kirlin. Dogs behavior is highly influenced by it’s bloodline. 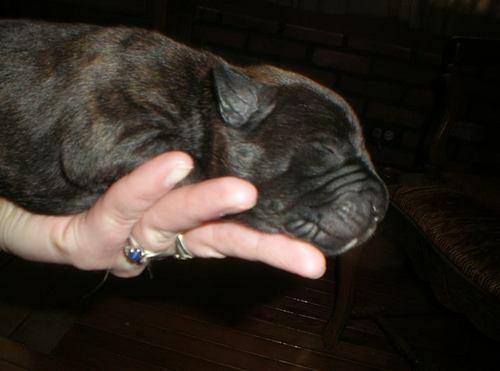 The American Pit Bull Terrier is, like all the ‘bully’ breeds, one of this group of descendants of the British ‘bull and terrier’ type fighting bulldogs. Once imported into the United States, it was bred up to be bigger again, and again used in baiting animals and in dogfighting. The American Kennel Club (founded 1884) was unwilling to register these fighting dogs, so in 1898 the United Kennel Club was founded by Chauncey Z Bennett specifically to register working pit-fighting dogs and to promote dogfighting. In order to be registered, a dog had to first win three pit fights. The American Pit Bull Terrier (APBT) became a ‘breed’. As dogfighting declined in popularity in the 1930s and 1940s, Colby (the most famous and prolific breeder of these dogs) began to search for a new market and began promoting the APBT as family pets. This despite the fact that his breeding lines included child killers. Really Mary Kirlin? You’ve seen poodles do this? Really Mary Kirlin? You’ve seen shepherds do this? Really Mary Kirlin? You’ve seen Golden Retrievers do this? Really Mary Kirlin? Have you seen a Chihuahua do this? Really Mary Kirlin? All dogs “bite”? Shall I continue?…OK. I will. Back to the article. This is a picture of one of the pit bulls that killed my son. Susan and Steve had raised their dogs from puppies with all the love, affection, proper care, exercise (One acre fenced in dog run) and food that is required. 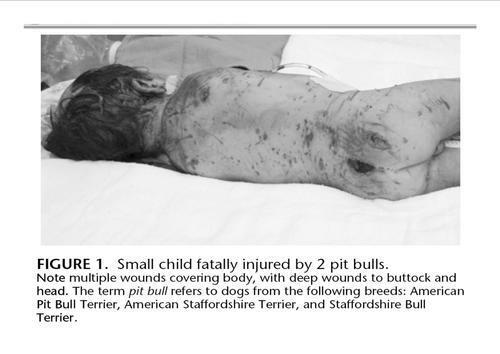 For some unknown reason, Susan’s 2 pit bulls attacked her while she was carrying Dax and mauled him to death for FIFTEEN minutes. She was punching them, kicking them and gouging their eyes out to get them to let go. Nothing she could do to get them to let go of my son’s head. Click here to read the full story. Shame on you Laurie Hoffman. Shame on you Mary Kirlin. How many more Americans must die a horrible and tragic death before you pick a different breed to save? There is a reason the shelters are over run with pit bulls. NOBODY WANTS THEM!!!! This entry was posted in Uncategorized and tagged Animal Farm Foundation, Cindy Ryder, Dax Borchardt, Daxton Borchardt, Daxtons Friends, dogfighting, fatal pit bull attack, Laurie Hoffman, Mary Kirlin, pit bull, pit bull attack, Watertown For Responsible Dog Ownership. Bookmark the permalink. This is such a horrible, horrible tragedy. These women don’t have hearts. I can’t find the right words to express my horror in viewing the photos of these child victims. How can anyone put dogs ahead of humans? lying & apologizing go together like peanut butter and jelly. Mr Borchardt, I am so sorry for your loss. Thank you for all you are doing to let people know how dangerous pit bulls are. I hope and pray you are saving lives by your efforts. I’d like to thank you for this important work. I’m sorry for the tragedy of losing your sweet baby and also for Susan. I live in a lovely neighborhood in Wauwatosa with many children and people walking their dogs. Someone moved in next door with a large, unnuetered male pitbull. Of course the dog is “a total sweetheart and so well trained.” I’m worried and told my kids to be careful and stay away. How far away can we stay? The house is 20 feet away from us. I called the police but with no ordinance there is nothing they can do unless there is an attack. Law enforcement and the CDC should be compiling statistics so we can stop the misinformation. Pit bull apologists should be ashamed and that goes for the Humane Society, ASPCA and Caesar Milan, too. 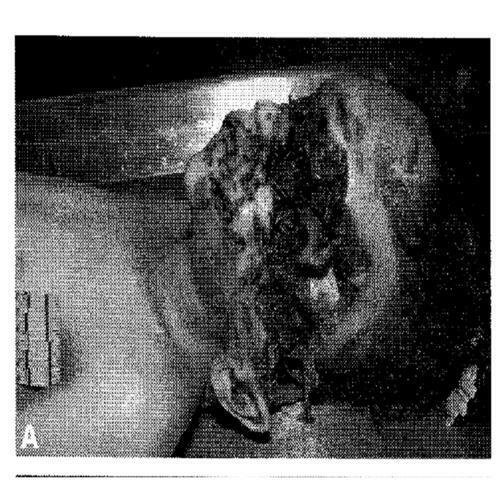 The police will do nothing until someone is horrendously injured or killed. If it was me, I’d quietly slip an overdose of sleeping pills into a nice meaty steak and throw it over the fence…. Pit Bull propaganda is very insidious, and it’s spread by people with absolutely no knowledge of dog breeding, genetics, or statistics. Dogs are bred to exhibit certain behaviors as well as physical appearances. 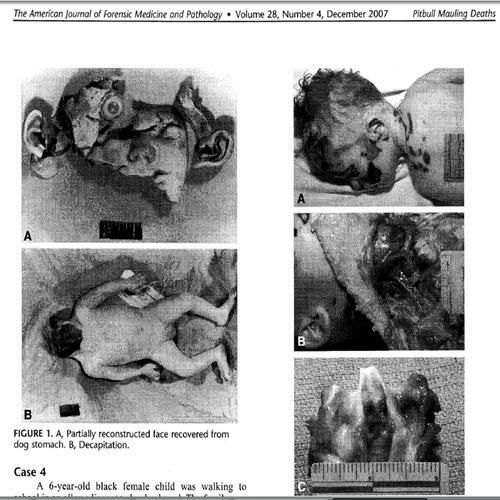 Yet try explaining this to Pit Bull apologists. It’s simply impossible. A friend of mine owns a Staffordshire Bull Terrier (not the American type, the original English breed – although it’s much longer legged than a normal staffie). Another friend of ours asked what they were bred for (we had been talking about different dog breeds and their original purposes). She gave me a blank stare and then changed the subject. I don’t know whether she honestly doesn’t know that her breed originally was bred for bloodsports or if she knows and just denies it. Do most pit owners know what their dogs were bred for? Thank you, Jeff, for taking the horrible loss you suffered and turning it into something positive: fighting the insanity that is the pit bull lobby. I am appalled at the way the large animal “welfare” groups are jumping on the bandwagon, panting after the funding they need to pay themselves their huge executive salaries. HSUS and the ASPCA are the worst of the Berkey whores; HSUS was particularly nauseating in the Maryland law shitstorm — claiming there is no way to ID a pit bull and that they were worried to death about all the displaced pits there would be if the pit bull law was able to stand as originally written. And, since pit bulls are the most plentiful dogs in pounds and shelters now (because their thug owners won’t neuter them) and because they’re being promoted as pets by HSUS et al, well-meaning but clueless people are adopting them and parading them around as “therapy dogs.” Things are just going to get worse at this rate. Readers, a small bit of advice: buy yourself the biggest can of bear (pepper) spray you can find and a sharp knife, or learn how to shoot if you plan to go outdoors on foot or on bicycle. If the lawmakers won’t protect you, you’ll have to do it yourself. Disgusting but true. Lucky you Americans. We civilians are not allowed to carry guns, knives or pepper spray in my country. Thankfully pits are actually illegal, though of course that does not stop criminals and those living on government hand-outs from owning them. The best I can do is take a stout walking stick out with me when I walk my dog. Mr. Borchardt, I have followed your story on and off this past year. I continue to be amazed at your dedication make the country a safer place and your strength in the face of these pit bull advocates. Many are misguided, but you deal with the ones who are truly without hope. At first the Jack Russell case looked like a logical fallacy, but if it turns out she really was lying, that’s disturbing. daxtonsfriends.com is on my bookmarks list and I might be following this WordPress as well. But not officially following on my own blog, because I do not want people to know my bias against pit bulls. I hope you don’t mind. There is a sick kind of irony in that a pit bull apologist used this story to try to prove that other breeds are just as dangerous as pits…. It is nauseating to read Mary Kirlin and Laurie Hoffman talk like this to a parent who has just lost a precious baby. These two women and their ilk have blood on their hands for every single mauling victim who has fallen prey to their lies. It’s getting worse by the day, and their credibility needs to take the hit it deserves. Now they have the overloaded shelter giving out pitbulls FOR FREE ALL SUMMER, in a town right near my daughter. This is why I no longer give to the local Humane Society. Instead of putting these vicious beasts down, which they should do as a supposedly caring members of society, they put them back on the street to terrorize, injure and kill countless victims. An organized boycott/shame attack on the Human Society nationwide is in order. Meanwhile, the nice, sweet breeds that would make truly nice family pets languish in shelters because the volunteers spend so much time and effort trying to get the unwanted pits placed. Pit breeds NEVER give warning. Of course they don’t. They were bred not to give any warning or go through any preliminary aggression stages before attacking – it makes a better spectacle for the dogfight audience that way. Good on you…had one and got that shark mouthed thing out of my house. She never did anything and was a very sweet creature…she actually wanted to just kill the neighbors dog as far as we could tell. One severe lover of these things…I know it ate his kids…said putting them into sleeper and choke holds will shut them down…granted you might have to hold it this way until someone arrives to take it away. Your awesome. No one should own these land sharks…it’s reckless. She must cry A LOT then. So many deaths. She is a Demon.